Senator Benjamin F. Whittemore: Benjamin Franklin Whittemore, May 18, 1824 – January 25, 1894, was a U.S. Representative from South Carolina. Born in Malden, Massachusetts, Whittemore attended the public schools of Worcester, and received an academic education at Amherst College. He engaged in mercantile pursuits until 1859. After studying theology, he became a minister in the Methodist Episcopal Church of the New England Conference in 1859. During the Civil War, Whittemore served as chaplain of the Fifty-third Regiment, Massachusetts Volunteers, and later with the Thirtieth Regiment, Veteran Volunteers. Upon completion of the war, he settled in Darlington (Whittemore District) South Carolina. He served as delegate to the State Constitutional Convention in 1868 and elected president of the Republican State executive board in 1868. *Whittemore was also appointed Superintendent of Education for the Military District of Eastern South Carolina during his tenure as servant to the state. He founded the New Era Publication in Darlington. He was elected to the S.C. Senate in 1868, but resigned before the session to take a seat in Congress. He served as delegate to the Republican National Convention in 1868. Upon the readmission of South Carolina to the Union, Whittemore was elected as a Republican to the Fortieth and Forty-first Congresses and served from July 18, 1868 to February 24, 1870. He resigned, pending the investigation of his conduct in connection with certain appointments to the United States Military and Naval Academies. He was censured by the U.S. House of Representatives on February 24, 1870, following his resignation. 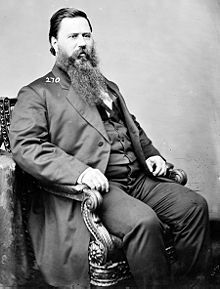 He presented credentials of a second election to the same Congress on June 18, 1870, but the House declined to allow him to take his seat. 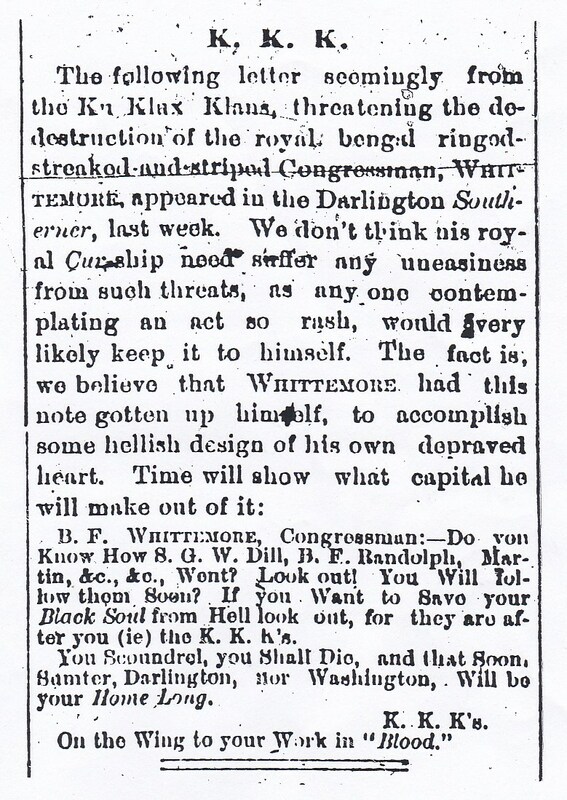 During the increased violence by Red Shirts, on November 22, 1870, Whittemore was elected to the S.C. State Senate. Throughout his contentious service to the state of S.C., Senator Whittemore maintained the helm, stayed the course, providing both political and spiritual guidance to his fledgling flock, until the very end. He served until 1877, when he resigned. Democrats had regained power in the state legislature and began to pass laws to restrict voter registration and reduce the civil rights of freedmen. Whittemore's appointment as Superintendent of Education for the Military District of Eastern S.C.
KKK posting demanding Sen. Whittemore's immediate resignation from office. At the end of his service to the state of S.C., Whittemore returned to Massachusetts, settling in Woburn where he became a publisher. He died in Montvale, Massachusetts, on January 25, 1894. 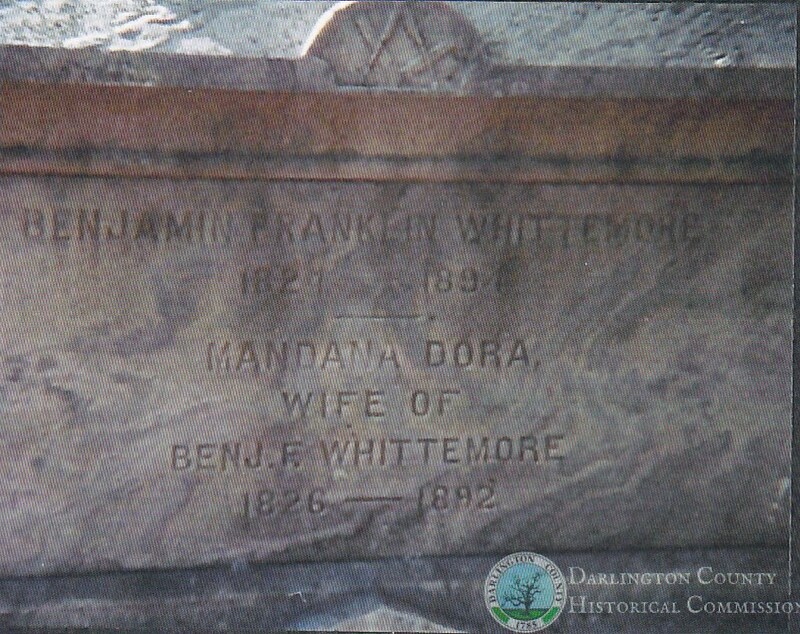 He was interred in the Salem Street Cemetery, Woburn, Ma., the final resting place for both Senator Benjamin Franklin Whittemore and his beloved wife, Mandana Dora. 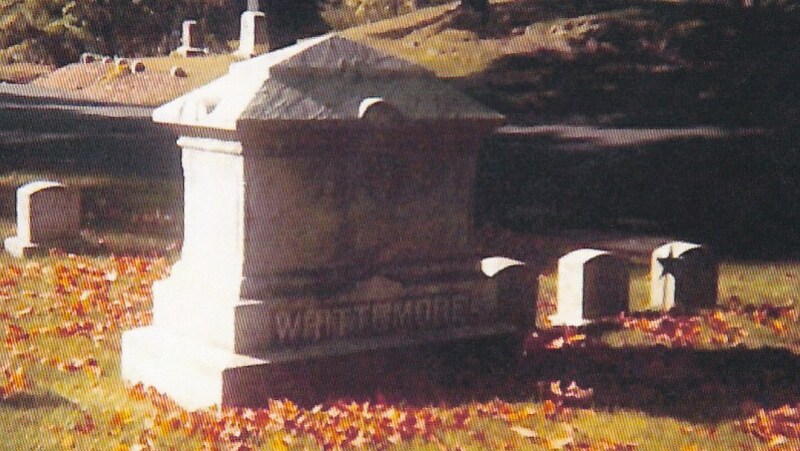 Senator Benjamin F. Whittemore's Headstone. Senator Benjamin F. Whittemore's Headstone Inscription.